execution, His will is perfect. Every good and perfect gift comes from above, from God (James 1:17). For it comes from a flawless realm and a faultless being, and even our flawed world cannot make it defective. His plan to save man was ﬂawless in conception, for the Lamb was slain before the foundation of the world (Revelation 13:8), and was perfect in execution, for the Lamb died on the cross and rose after three days. The will of God is perfect. It is complete beyond practical or theoretical improvement. No matter how hard man tries to improve on it, he cannot. He will end up creating his own will. For it is whole in conception and should maintain that wholeness in execution. God’s plan of making Abraham a great nation was to be executed through Isaac his son, but Abraham tried to improve or salvage the will of God when the promise of Isaac delayed by inventing Ishmael. But no matter how hard Abraham tried, Ishmael remained Abraham’s will. For God’s will was perfect and whole in Isaac, needing no improvement. The will of God is perfect. It exactly fits the need in every situation and in every purpose. God who in His sovereignty knows the needs, designs His plan to perfectly meet those needs. No need beats the imagination of God’s will; for His plan precedes the needs, and comes in just in time to meet the needs. Whenever the will of God is put to the test, it always passes, with a perfect score. It may appear flawed when beheld with the eyes of flesh and analysed by hearts of stone, but when those eyes are anointed with eye salve (Revelation 3:18), and those hearts of stone fall on Christ and are broken (Matthew 21:44), the exact nature of God’s will is discerned as perfect. For the word of God, which is the will of God is perfect, converting the soul (Psalsm 19:7). The best way to fully understand anything is by characterising it. Or put differently, if one can properly describe the components of anything, then that person has a complete grasp of it. The same applies to God’s will. 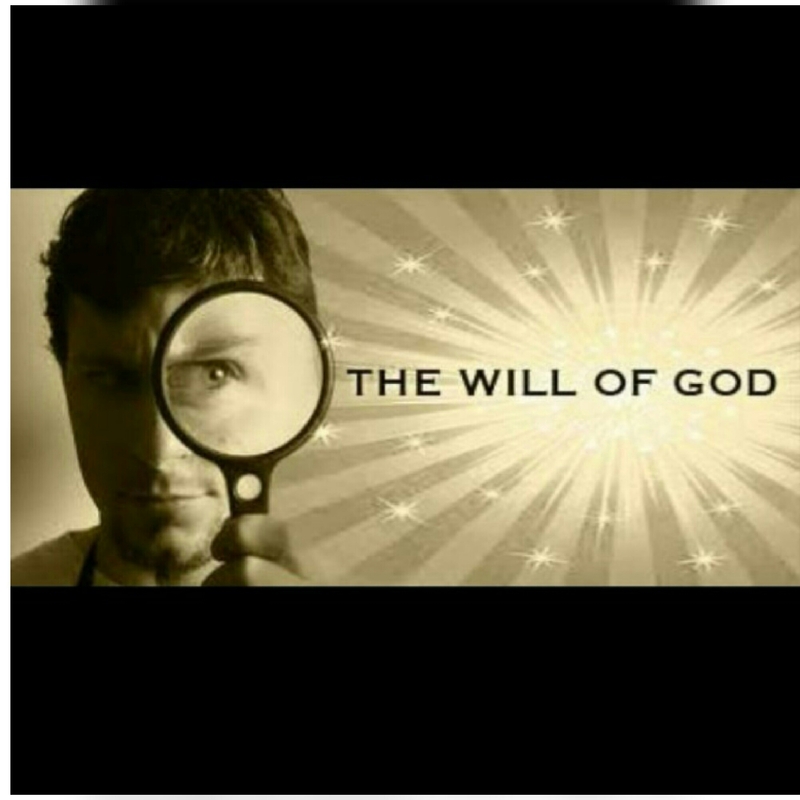 The intriguing features of the nature of God’s will are littered across scriptures. I’d love to pull some together. Among other scriptures, Romans twelve two is one portion of scriptures that compresses three superb qualities of the will of God. The apostle Paul in this portion of scripture was trying to admonish the believers in Rome on how to live a victorious christian life. They were not to assume the mold of the system of this world, nor were they expected to be well adjusted to the world’s traditions. But they are to renew their minds with God’s word that they may be able to discern the will of God. Then he goes further to mention these superb qualities of God’s will which is good, acceptable and perfect. The will of God is good. The word “good” is one word that is difficult to describe. Dictionary.com in an attempt to define the word “good” uses about fifty different descriptions for it – as an adjective, noun, interjection, adverb – all in a bid to properly capture the meaning of the word. Wow! So many definitions just for one word, I wondered. Then I found out why. The best description of good is God. If one takes out the letters “G”, “o”, “d” from the word “good”, one is left with the letter “o”, which I believe is a good symbol of emptiness. Whatever doesn’t have God cannot be good. No matter how innocent, useful, or appealing it may appear, once it is void of God, it cannot be good. “No one is good, except God alone…” This Jesus said, in response to the rich young ruler in Mark ten eighteen. For he had called him “good master”, without necessarily acknowledging His deity. So, Jesus had to remind him that if God was taken out of anything or any person, that thing or person could not be regarded as good. “You are good, and you do good…” proclaims the Psalmist boldly about God in Psalms 119 verse 68. Also, James one seventeen tells us that every good gift and every perfect gift is from above, coming down from the Father of the heavenly lights, who does not change like shifting shadows. So, whatever is good is of God. And whatever God does, and whatever he gives, proscribes and plans is good. The will of God is good. It is suitable for you. You do not know what you need, nor what best suits you. But you can be rest assured that God’s specific will for you is suitable for you, and has your best interest at heart. “It is not good for the man to be alone,” God said to Adam in the beginning. “I will make a helper suitable for him.” And God brought Eve to Adam, and indeed she was well suited for him. Still speaking about marriage, Proverbs eighteen twenty-two says that the man who finds a wife finds what is good and receives favour from the Lord. Chapter nineteen verse fourteen of the same Proverbs reiterates that a prudent wife is from the Lord. So, that which God gives is always good. Are you at the junction of making any decision? Of where to live? What course to study? What job to do? Which business to delve into? Which person to marry? What school to enrol your kids in? One thing is certain, if you seek God’s specific will at this junction, what He gives you will be well suited for you. Even if it is not what you had envisaged, and even if it is not your preference, if it is God’s will, you can trust that it is well customised for you. And in the long run, you will enjoy it, every bit. “For I know the plans I have for you,” declares the Lord , “plans to prosper you and not to harm you, plans to give you hope and a future (Jeremiah 29:11 NIV). His plans for a people or nation is always good. God’s plan for Israel as a nation, as regards how they were to be led as a people, was good. He wanted to rule them through His elect – judges, handpicked by Him. But they wanted to be ruled by a monarch – a king, like the other nations, which was not good. God even told Samuel to solemnly protest to them about their choice, by making them know what terrible things they would suffer at the hand of their king. But they would not bulge. They thought God’s judges were not suitable for them. How myopic! So, He allowed them to have their will. And they ended up suffering the consequences (1 Samuel 8). The will of God is always good – satisfactory in quality, quantity and degree, and well suited for us, because it emanates from God. Hopefully if Jesus tarries, I’d elucidate the next quality of God’s will as acceptable in the next study.